Dr. Igor Schapiro, a recent recipient of a prestigious European Research Council (ERC) grant for Mathematics and Sciences, joined the Institute of Chemistry in 2015. 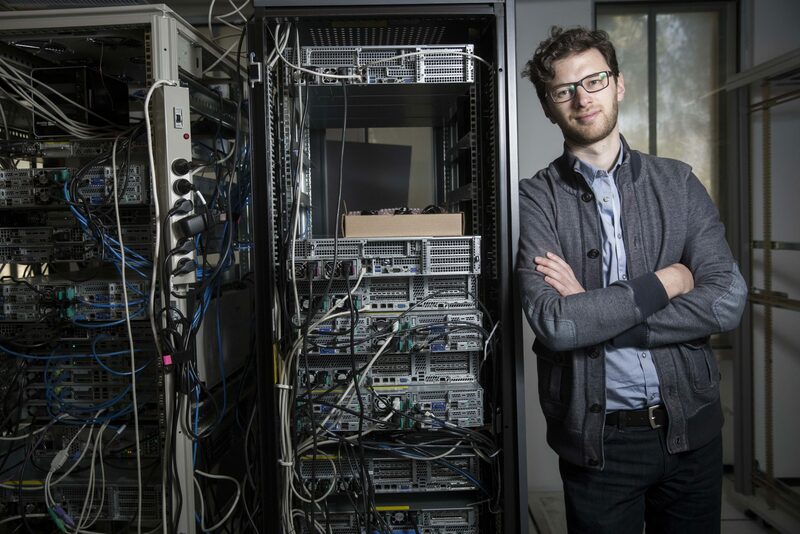 He is a member of the Institute’s Fritz Haber Center for Molecular Dynamics and previously served as a research assistant at the Universite de Strasbourg in France. He was also a postdoctoral assistant at the Max Planck Institute for Chemical Energy Conversion in Germany. Dr. Schapiro’s research involves the computer simulation of chemical reactions based on unique computer programs he develops for this purpose. In one project, Dr. Schapiro has been studying the chain reactions in the human eye in order to design artificial or man-made systems that can mimic the natural process of sight. His work is relevant to potential new therapies for vision problems. Born in Kiev, Dr. Schapiro grew up in Germany. Interested in exploring his Jewish roots, Dr. Schapiro spent a month at Hebrew University in 2015 and “fell in love with the campus,” he states. “I felt welcomed from the first moment.